We take all major credit cards and Google Pay and Pay Pal too. Welcome. 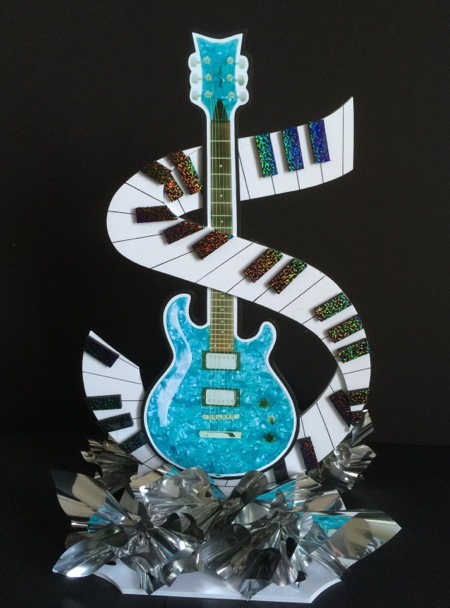 Let Us Create Something special for You. 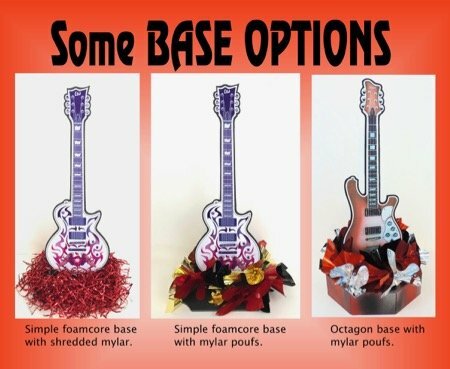 We make foam core cutout guitars and music decorations for all occasions. We make them in several sizes and styles. Here's an easy size reference. 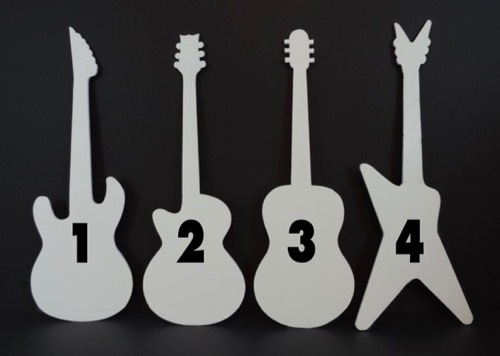 We can send plain white (or black) guitars for do-it-yourselfers. sit low on the table or are elevated on our 24" poles. 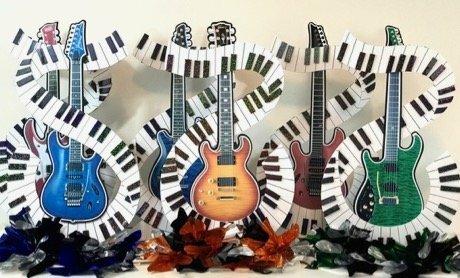 that you will notice as soon as you walk into the room. 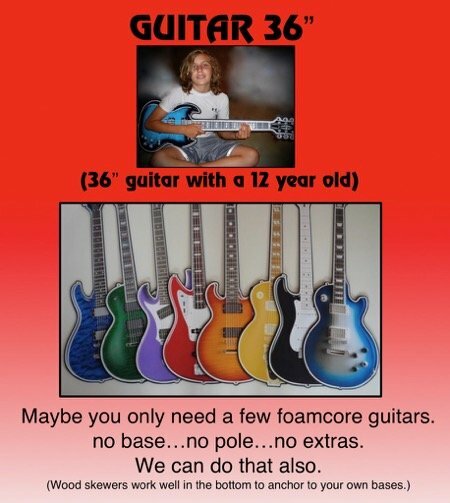 If you are a DIY (do it yourself) kind of person, we can help with that. 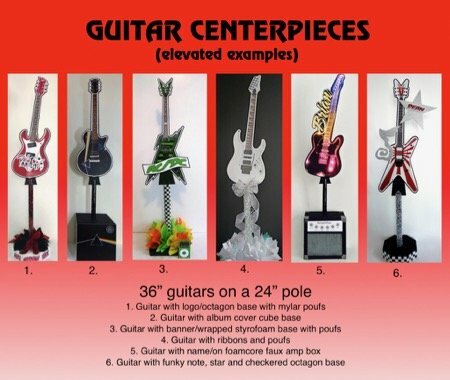 Select your own guitars to make your own centerpieces. 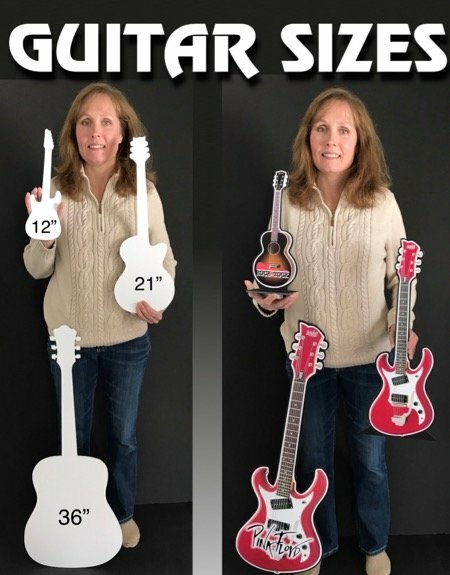 We have over 300 FOAMCORE GUITAR IMAGES available. For any age or any occasion...family event or business. Order as many as you need. One sided or two sided. As plain or fancy as you need. 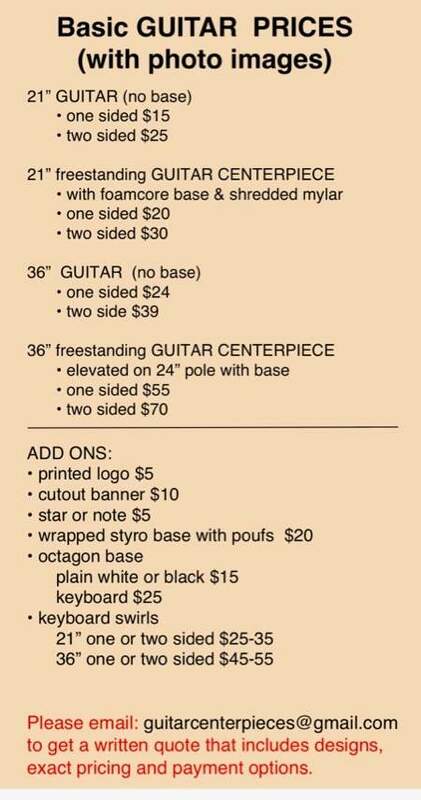 TO ORDER: email anytime with your guitar image selection and size and amount. Please note that you are paying for a creative service and the time spent creating and personalizing your time with personal information. This item is not a licensed product; all images are free and not being sold. We do not sell or claim ownership over the guitar itself or graphics; they belong to their respective copyright holders. Items purchased are for one-time personal use only and not to be re-sold for any other reason.